Like many planets, Saturn looks like a star from Earth. At more than a billion kilometres away, it was the most distant planet known to the ancients, and the invention of the lens and telescope has enabled generations of astronomers to study this mysteriously ringed celestial body. But it is through space exploration that we have discovered most about Saturn, with 3 flybys in 2 years revealing the complexity of its world. The first was completed in 1979 by Pioneer 11, a probe designed to explore the outer solar system. Its journey to within 200,000 kilometres of the planet revealed the existence of an extra ring. 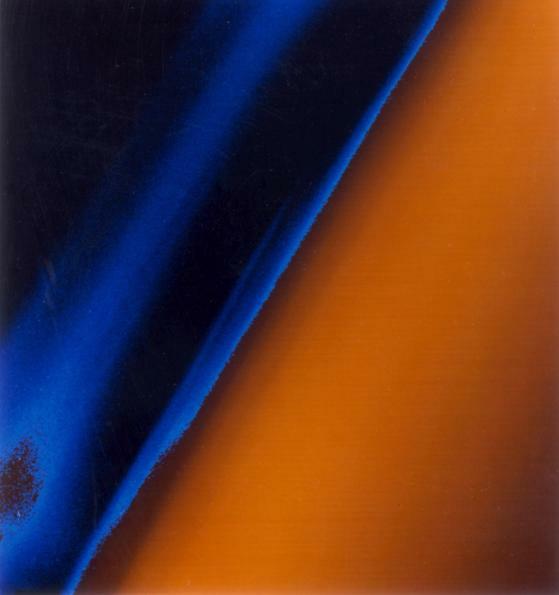 In 1980 and 1981, Voyager 1 and 2 discovered several new satellites, unveiled the complexity of Saturn’s ring system, and revealed high levels of nitrogen in Titan’s atmosphere. Launched in 1997, the CASSINI-HUYGENS probe reached Saturn on July 1st, 2004. The Cassini orbiter should help us understand Saturn’s magnetosphere and interactions with its satellites, rings and the solar wind. It should also inform researchers about the planet’s atmosphere and internal structure, as well as how the rings are formed. 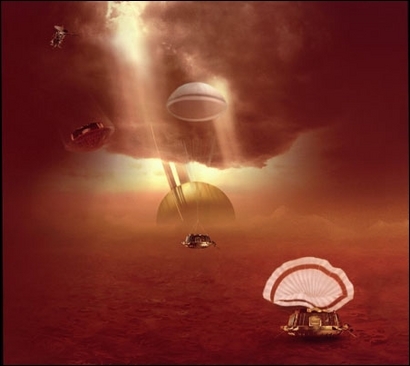 The European probe Huygens will be parachuted down from the orbiter into Titan’s atmosphere, taking measurements as it descends. There’s no knowing what it will find on the surface of Titan, but it should provide us with several minutes of data on the satellite’s physical properties. …as you penetrated its atmosphere, the Sun and Saturn’s rings would become lost behind a thick veil of clouds.